It’s been said that the family that prays together, stays together. But what about the family that shops together for back-to-school gear? So it wasn’t surprising that Macy’s collaborated with Burruss’ foundation, Kandi Cares, for a back-to-school event. Dozens of families came out to take pictures with Burruss and soak up the love she, her husband Todd, baby Ace and Riley had to share; as her entire family was there participating in the back-to-school drive with Kandi Cares and Macy’s. Macy’s has great deals for the entire family. From men’s and women’s clothing to a fantastic children’s and junior department, and even an excellent home furnishing and home goods section, Macy’s has something for the entire family. Burruss brought out her team: the lovely host-/entertainer QT Jazz;, and her two singing groups, LOUD and Glamour. It was a wonderful Saturday afternoon of entertainment and family fun. 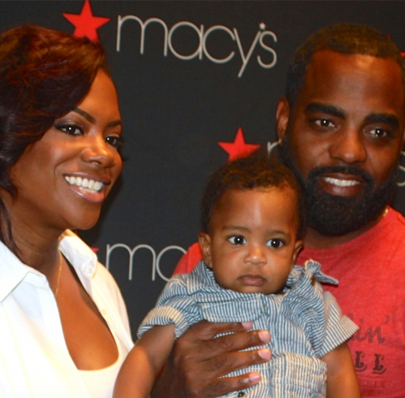 No Comments to "Kandi Burruss & Macy’s Share Family Values At Back-To-School Drive"